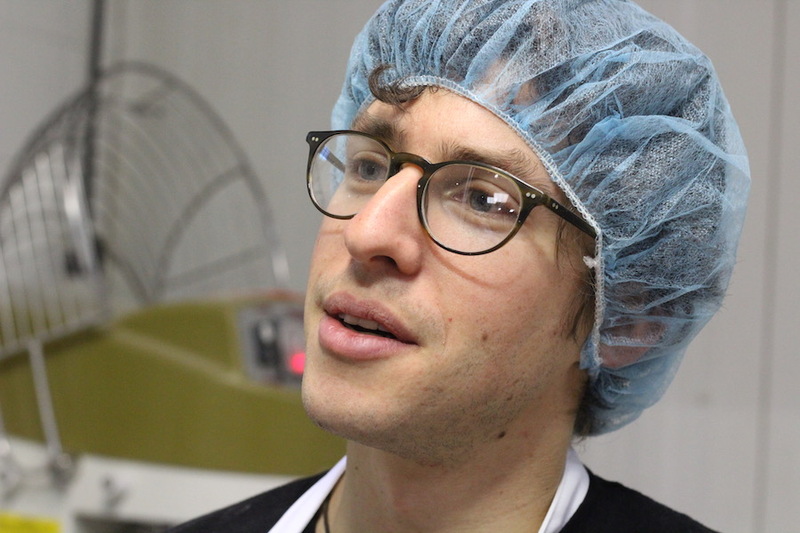 Atticus Bookstore and Cafe's new baker Josh Kanter: baker by day, whole grain ninja by night? Lucy Gellman Photos. Josh Kanter lifted the lid off a heavy plastic tub of dough. He leaned in to feel it, pressing it between his fingers. The smell of something sour and yeasty filled the air. “A little longer,” he said. The lid went back on, and closed with a dull snap. "Sometimes I joke about, have we done enough devotion to the bread gods? Have we suffered enough? Have we struggled enough in one week that the next week we'll provide another good bread." His approach—more regionally-sourced whole grains with more room for experiment built in—is part of a larger tack that the cafe and Chabaso Bakery brand are taking toward localizing their foodways. Earlier this year, Chabaso changed its packaging on breads that are baked fresh, then distributed from New Haven throughout the Northeast Corridor, all the way to North Carolina. Staff also took a look at the bread itself, and decided to make some changes. At the bakery’s mothership in Fair Haven, bakers are experimenting with a new poolish, or fermentation starter, for the breads. They’ve upped the content of water in dough. 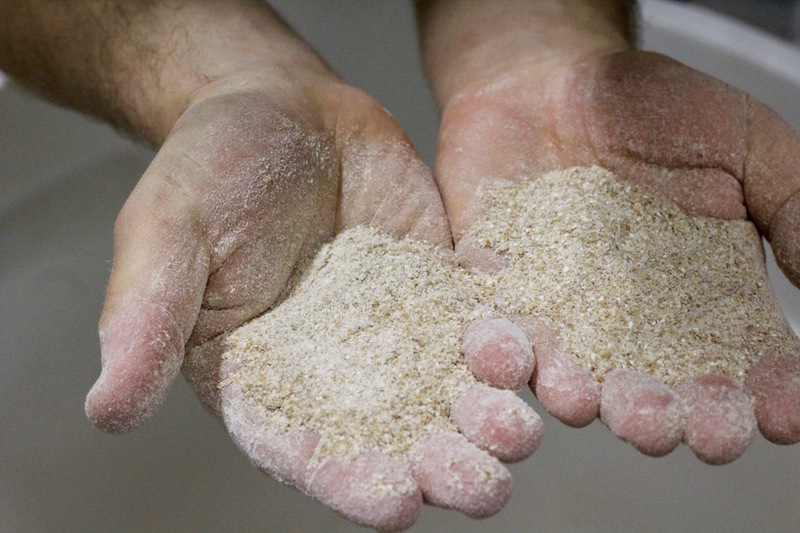 And later this spring, the Atticus arm of the bakery will be embarking on its first truly farm-to-table experiment: 25 acres of freshly planted Glenn wheat in a 500-acre family farm in northeast Connecticut, that the bakery will be milling in-house into 20,000 pounds of flour. Charles Negaro, Jr.: “This is just a first step for us as a company and hopefully also a meaningful step for Connecticut agriculture as well." In some ways, that process started quietly about two years ago, as Atticus began adding fresh milled whole grains to its scones. Customers took note: the already-popular items disappeared from the cafe twice as quickly, and rising demand meant that the bakery was churning more of them out on a weekly basis. But fresh-milled, whole grain flours are more expensive than commodity flours, sometimes costing five or six dollars a pound. And Negaro didn’t want sharply raised prices to make the scones unaffordable (they are now 25 cents more expensive). The Glenn variety that Atticus has chosen to grow is a productive wheat—meaning it has a high yield annually. That translates to about one dollar a pound—meaning it’s “not going to break our bank,” said Kanter. 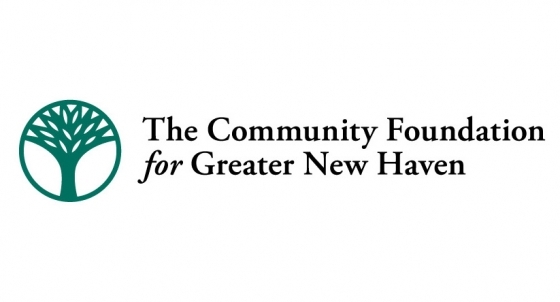 “This is just a first step for us as a company and hopefully also a meaningful step for Connecticut agriculture as well,” Negaro added. On a smaller scale, that’s where Kanter comes in. While Chabaso undergoes its own changes, Atticus has been experimenting, adding new breads with more whole grain and freshly milled flours from around New England and the region. In a small, warm corner of the bakery, he has a sort of laboratory set up, with large plastic tubs, bags of flour and yeast, and a chrome-colored mixer. There, he is almost constantly in motion, stopping only to check batches of dough as they rise, or loaves as they bake and brown in the oven. "Do I think that there's a higher bread power? Sometimes, yeah." Kanter's love affair with flour, water, salt, and yeast travels back 10 years, to his time pursuing a degrees in linguistics and psychology at the University of Connecticut. A Stamford native, Kanter grew up gardening with his dad, eating food from the ground or directly off the vine. His dad died when he was 15, leaving behind an interest in fresh food that Kanter wanted to pass on himself. It piqued his interest in food systems. His senior year of college, he found himself in a class in something called “agricultural resource economics”—the economics of agricultural policy and regulation. Almost overnight, he was discovering that what was in his food was not what he thought was in his food. He started making his own breads, which were “really, really terrible” at first. Not far from where he’d grown up, he headed home on weekends to test out the family’s bread machine, a little white box with a glass lid that would mix and knead ingredients mechanically, and spit out a loaf of bread several hours later. It wasn’t very good, Kanter recalled—dense and dry, sometimes bitter from too much whole wheat flour. Each loaf came out with a little insert at the base, where a dough hook had done its duty. But it inspired him to find out more about the process itself. After a series of disastrous trial runs (“I ate all of it myself,” he recalled, laughing), he found that he could make better batches, and give them to friends. After Kanter graduated, he spent the summer working for Wave Hill Bakery in Wilton, Conn. The space was hot and tiny: a small mill for spelt and rye, an oven room, the “biggest mixer I had ever seen before,” and a work bench that accommodated a maximum of four people. Kanter was “very green,” he said, but he was also amazed—for the first time in his life, he was tasting fresh bread, and learning how to make it from start to finish. He hadn’t accounted for this new interest in baking professionally, and didn’t have time to pursue it immediately. By the time Kanter had his doughy awakening, he had already taken a position in the Americorps program City Year in California for that fall, to do math and reading tutoring and manage after school programs. But as he transitioned to the West Coast, he made a discovery—there was another, more nascent Americorps program focused on gardens. It was called Food Corps, and taught people how to grow their own food. And it was exactly what he wanted to be doing. He applied as City Year was ending, landing among literal tumbleweeds in Gallup, New Mexico. His supervisor was the one to notice a summer stint in baking on his resume, and suggest that he knead his baking skills into spendable dough. The school had a relationship with a food pantry, which soon doubled as Kanter’s incubator kitchen. He recruited a team of volunteers, working with them to turn out baguettes and challahs until he was known around town not as the school gardener, but as “the bread guy.” During the week, he channeled what his dad had taught him back in Connecticut, teaching 300 kids to plant seeds, mix bright fresh vegetables into their smoothies, and pull fresh vegetables from the ground. He became, to his delight, their “garden dad,” modeling his teaching off the man he’s grown up with. Kanter with some of the yeast the bakery uses. It stuck with him. After two years with Americorps, he took the $10,000 he had made for his service, and headed to the French Culinary Institute in New York City, where he trained formally in bread baking and took. When he returned to Gallup, he struck up a deal with the owner of a pizza restaurant, using the kitchen four nights a week from 10 p.m. until 10 a.m., when it was closed. It was the beginning of Crumby Bread Company, his own brand that doubled as a nerdy, slightly “self-deprecating Jewish joke” about both his ability to make bread, and the quality of its crumb, or the baked, spongy inside of the loaf. First, he found that his customers often missed the humor—maybe because “there aren’t a lot of Jewish people in that area.” Then, he found that it was both thrilling and totally unsustainable. Then 18 months into Crumby Bread Company, there was a floury, warm “it” moment. Kanter was pulling bagels from the oven. His associates, paid in bread, were getting loaves ready for a farmer’s market. He locked eyes with one named Scott Nydam. Nydam was a coffee fanatic. Kanter was still starry-eyed for bread. There was no reason, Kanter realized, for them not to go into business together. It was the starting point for Silver Stallion Coffee & Bread, a little shop at the end of an alley, with an old-fashioned sign from a defunct saloon of the same name. Channeling his dad’s spirit once more, Kanter bought his baking equipment with money that had been left for him years before, when his dad passed away. He had to pay a penalty to access the funds, he recalled. But he thought that his dad would approve of the endeavor. The two jumped right in: there were bakeries they wanted to see, flours they had questions about, bread innovators around the country they’d like to meet. They ended the conversation joking about a road trip to California. Kanter headed back to Gallup with new ideas in mind. But when he returned in October, there wasn’t a job for him. Nydam asked him to step away from the business, and after a long discussion, he agreed. And then he called Negaro. Kanter joined Atticus for a test run in January, going full time the same month. Immediately, he changed up the kind of bread the bakery was offering its customers—naturally leavened and fermented, with caramelized, flour-dusted and seed-studded outer crusts. On a recent Wednesday, he bounced between new experiments. He’s recently rolled out a fragrant “square pizza” studded with olives, tomatoes, and sea salt that customers can buy by the slice, as well as standard breads for which the bakery has a schedule. Then there’s a tangy country loaf, that takes 36 hours from start to finish, for which he’s already become known. If a step is messed up—it stays in cool air for too long or not long enough, or the flour doesn’t absorb water the way it’s supposed to, because it’s not ground finely enough—a whole batch is ruined and Kanter must start over again. “It ends up being the baby of the bakery,” said Kanter. He said he sees it like pitching veganism to omnivores. Each day, he brings vegan pizzas upstairs to his colleagues at Chabaso. It’s a choice based not on a vegan preference, but on the ingredients he has in his corner of the bakery—olive oil, olives, salt, chili flakes, garlic. There’s no cheese in the little fridge near his workstation. He’s never mentioned the conspicuous absence of meat. And every day when the slices disappear, he vows not to. To listen to an interview with Kanter on WNHH Community radio's "Kitchen Sync," click on or download the audio above.